Multilocation Managed Dedicated Servers strapped with the latest technology and high professional staff always at your disposal. Our managed dedicated server solutions are available on Linux or Windows with 24/7/365 Support, 24/7 Proactive Monitoring, and our 100% Uptime. Leave the management of your dedicated server in our hands. Our highly trained and experienced specialists are here to set everything up for you while you can focus on your business. We configure, optimize and secure the common server systems and services for maximum performance, stability and security. Industry leading control panel - cPanel is installed and configured by our team. Explore the limitless feature set of cPanel and gain maximum control of your hosting accounts. Please note that you need to purchase cPanel first during the order process. We install, configure, optimize and secure your web servers, databases, dns servers, ftp servers, ssh. We also install additional software by request. We can setup a powerful backup solutions for you so can have an additional data protection. You can use your own remote backup (storage) space or buy such service from us. We keep your operating system up to date and therefore increasing the overall stability and security of the server. We install and maintain antivirus software with paid custom definitions for maximum security. Our clients have access to it via their control panel and therefore are able to scan their files and folders by themselves in addition to the automatic scans we make. We install and maintain a powerful antispam protection system on all of our servers on both client and server level. The Malware threats are very common these days and because of that we install an automatic malware detection software that successfully increases the security of the customers. We install and configure a Firewall that control the system on both network and application level. It automatically detects and blocks various of threats..
Mod Security is a powerful web application firewall that can automatically detect and block a big number of various web attacks such as: SQL injections, XSS, CSRF, Malicious File Executions and many others. We can install it on your server. That will significantly improves the overall websites security. 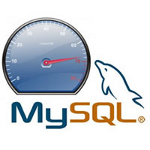 We optimize your MySQL server for a maximum performance and fast applications loading using the best known practices and methods. Our team monitor your server 24/7. That allow us to detect potential problems, attacks or threats before they actually happened and therefore to react proactive in such situations and fix various of potential issues before they reach the end customers. You receive a trusted ssl certificate - issued, installed and configured completely free by our team. By doing that the https protocol can be used for a secured access. We will migrate your cpanel based accounts to us for free. If you are not cPanel based, please contact us to discuss your migration. We realize that the connecivity is a key component of our services. Because of that we operate in datacenters with Premium connectivity and state of the art netowrking that guarantees 99.99% uptime with full redundancy on all routers and multiple quality Tier1 transit providers, as well as private and public peering.